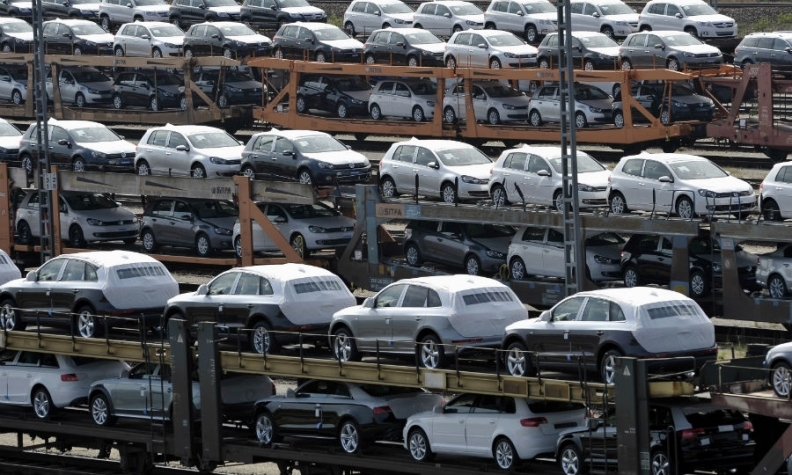 Spanish new-car sales rose 7.7 percent to 1.23 million last year, although dealers said the increase was helped in a large part by discounting and self-registrations. The market had its best December result in 10 years with sales up 6.2 percent to 102,943 year-on-year, data from industry association ANFAC shows. It was the first time December sales topped 100,000 since 2007, according to ANFAC spokesman Adolfo Randulfe. December saw high demand from private buyers as dealers aiming to reach annual sales targets offered last-minute discounts, dealer association GANVAM said in a statement. More than 10 percent of sales in 2017 came from self-registrations by automakers and dealers, said Raul Morales, from the FACONAUTO dealer body. This was an “excessive” volume which artificially inflated dealer stocks, he said. Demand from fleets was strong in 2017. Business sales rose by 13 percent for the full year and by 4.2 percent in December. Sales to rental companies increased 9.2 percent over 12 months and 6.2 percent in December. Sales to private customers were up 4.4 percent in 2017 and 7.4 percent in December. Renault ended the year as Spain’s top-selling brand overall but Volkswagen Group’s Spanish brand Seat had a strong performance. Audi led the premium pack and Asian automakers had a good year. Renault brand’s registrations rose 12 percent in 2017 and 15 percent in December. Seat’s volume gained 22 percent over the full year with sales jumping 39 percent in December. The brand was helped by the introductions of its new Ateca and Arona SUVs. Volkswagen brand was No. 3 by sales despite a sluggish 0.7 percent increase for the year and an 18 percent drop in December. Peugeot was fourth with registrations up 5 percent in 2017 and 16 percent in December. Opel was No. 5, although its registrations fell 2.8 percent over the year and 27 percent in December. Fiat brand sales were up 11 percent in 2017 but fell 29 percent in December; Ford’s registrations increased 3.8 percent over the year but declined 11 percent last month. Toyota sales rose 19 percent in 2017 and by 0.3 percent in December. Nissan’s volume gained 9.3 percent in 2017 and a 16 percent increase last month. Kia sales were up 10 percent in 2017 with a 50 percent jump in December on the back of Sportage and Stonic SUVs. Sister brand Hyundai grew by 8.5 percent in 2017 and by 14 percent in December. Among German premium brands, Audi kept the first place in 2017 with 6.4 percent growth despite a 5.3 percent sales decline in December. Mercedes-Benz registrations rose 11 percent over the year and by 2.8 percent in December. BMW sales were up 10 percent in 2017 with a 13 percent increase in December. As in other European countries, SUVs are increasing in popularity in Spain. The four SUV categories - small, medium, large and premium – had sales increases of 20 percent, 26 percent, 40 percent and 20 percent respectively. The market share of diesel cars dropped to 48.3 percent in 2017 down 8.5 percentage points on 2016. Diesel share fell to 43.9 percent in December from 55.8 percent in the same month of 2016. The share of gasoline cars was 46.6 percent in 2017, up from 43 percent in 2016. Registrations in Catalonia rose a brisk 8.2 percent in December, with customers shrugging off political tensions over the region’s bid for independence. For 2018, FACONAUTO expects slight growth in Spain’s new-car market to more than 1.3 million units. Analysts Evercore ISI forecast 4 percent growth.